Before you begin building your Magento site with one of the providers reviewed above, we remind you to consider setup time (1-click installations, anyone? ), marketing incentives, and cost. The top Magento hosting providers will do their damnedest to help you build a Magento site quickly and, equipped for sales, market it effectively. Skim the summary table below to get started with one of the best Magento hosts. Looking for something other than magento hosting? Let's go around the World Wide Web in 80 datacenters! Just kidding — but we can cover Magento hosts. Having recently traded my sluggish, 13-year-old sedan for a shiny, new muscle car, I know that speed sells. Performance matters, especially in competitive markets like the auto industry — and online shopping. In the eCommerce world, site performance can mean the difference between staying a mom-and-pop store and going global. Consumers are increasingly impatient and will abandon a shopping cart in milliseconds. With an army of open-source innovators, the Magento eCommerce platform keeps shop owners at the front of the pack when it comes to online shopping trends. By pairing Magento with a top-notch hosting plan, your store can burn rubber off the starting line. 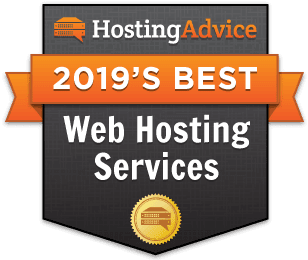 Our hosting provider recommendations, tailored by location, server needs, and computing power, will help your online store take the pole position and appeal to consumers near and far. Web hosting is a global business, but using providers with nearby datacenters is an easy way to boost your website’s performance. Minimizing the distance between your customers and the servers that power your website shortens how far data needs to travel. Additionally, your web host’s close proximity probably means support hours and availability better match your time zone. Most hosts these days offer 24/7 support, but your odds of speaking to someone in your native language go up if you know they have employees nearby. British and European sellers will be hard-pressed to find a better option than 1&1. Founded and headquartered in Germany in the late ‘80s, the do-it-all host runs datacenters in London, Paris, Amsterdam, Munich, Karlsruhe, and Frankfurt. More than just easy to use, 1&1’s well-rounded hosting plans include 1-click Magento installs and free SSL certificates that enable you to secure your customers’ data in accordance with the latest safety and security standards. Unlike many hosts, iPage has focused on low-cost and high-value shared hosting that prepares customers to grow into virtual and dedicated server plans, which are equally cost-competitive. The host includes single-click Magento installations, a free domain name registration, and free email tools. Further catering to novice store owners, iPage provides online marketing guides and $200 in advertising credits to boost your store’s appearance in search engine results. Even though GoDaddy, the world’s largest domain registrar, attracts the most customers through ultra-affordable shared hosting plans, their solid VPS and dedicated packages give your online store reliable room to grow. GoDaddy has served Australia since 2012 and moved a dedicated team to Sydney in mid-2015. GoDaddy’s 1-click Magento installation comes with a 30-day free trial — perfect for smaller shops looking to dip their toes into the Magento pool for the first time. Few hosts come built for speed quite like SiteGround. Boasting 1,000x faster hardware, SiteGround includes SSDs on all shared and cloud plans. All customers can tap into CloudFlare’s CDN to further boost performance at no additional cost, and SiteGround chose Singapore as their second non-US datacenter location in 2012. Benefitting popular applications like Magento, SiteGround’s proprietary caching mechanism, SuperCacher, dramatically speeds up the delivery of both static and dynamic content even more. Coming up on 15 years of experience in the web hosting industry, Bluehost’s reputation for performance and support is unimpeachable. Bluehost is built on open-source platforms, just like Magento, with everything from servers and internal tools to a 10-year WordPress partnership and scripts used by customers. By developing and contributing to open-source projects, Bluehost is uniquely positioned to support customers using these products. Bluehost began offering services in India in late-2014, shortly after expanding into China. HostGator selected Toronto as their first international office in 2006, just four years after the company opened for business. HostGator tailors feature-rich business plans to online store owners with an automatic Magento installer, toll-free number, dedicated IP address, and private SSL certificate — all for free. Already have your store set up on Magento somewhere else? HostGator will transfer your store without charge. Just as Magento users range from first-time shop owners to enterprise-class marketplaces, web hosts run the gamut between entry-level and top-tier. Match your hosting needs with the expected traffic to your website, along with how much support and technical assistance you envision requiring. Truthfully, running Magento on a shared hosting plan is not ideal for online storefronts that see a steady stream of visitors and orders. If you’re just getting started, though, shared hosting is a cost-effective way to test the Magento waters. The low price and readily available marketing guides from iPage make the provider a good option for sellers who are just starting their store. Meanwhile, $100 in advertising credits from Google AdWords and paid advertising with Bing help you grow your consumer base. The shared host doesn’t limit bandwidth or storage space, and we appreciate iPage’s 24/7 support and network monitoring. A virtual private server, or VPS, offers more computing power to run the resource-intensive Magento platform. In addition to easy scalability as your site grows, VPS lets you optimize your environment for Magento by increasing performance resources and adjusting server configurations. InMotion optimizes VPS plans for high-powered Magento marketplaces with SSD-powered speed and enough RAM to power your shop, website, and email efficiently. In addition to offering an unheard-of 90-day money-back guarantee, InMotion’s VPS server management team handles updates and security patches, letting you focus on running your store, developing products, and serving customers. Whereas shared hosting is ideally suited for those getting started and VPS offers room to grow, dedicated hosting is typically reserved for established marketplaces that have a steady flow of customers and orders each day. Dedicated plans give you unlimited control over your hosting environment, making sure your store runs at peak performance. Liquid Web is among the best at helping you optimize and manage servers for your store’s specific needs. They offer three levels of management support — self-, semi-, and fully managed — and possibly the best service level agreement you’ll find in the market. Not only does Liquid Web guarantee 100% uptime, they’ll respond to your chat or phone call within a minute. If they fall short on anything, Liquid Web will credit you 10x the amount by which they missed the mark. Whether you’re selling jewelry, shoes, or cars, tailoring your web hosting plan and Magento-powered store to your brand and business needs is critical. Your online store should be a boost to business, not something that brings stress and headaches. Thankfully, many hosts are on standby to meet your needs. We’ve mentioned this host a lot, but with good reason — iPage excels at budget-minded web hosting. For less than $3 per month, iPage offers the same tools and support for which you can easily expect to pay twice as much. To guide decisions that improve your sales and search rankings, pair your Magento shop with iPage’s analytics program to track traffic data and visitor trends. InMotion is so fast at hosting Magento, the team actually installs the eCommerce platform while you sign up for your hosting plan. One of only a few hosts to automatically include SSDs with all hosting packages, InMotion can load your store’s site up to 20x faster. With free email services and up to $250 in advertising credits, InMotion sets you up for immediate success with support and SEO. Supporting their top-tier managed services, SiteGround includes several innovative and proprietary software solutions to further boost performance, reliability, and security. Server operations teams test and tweak hardware configurations and keep replacement parts on site. SiteGround routinely upgrades their servers and will transfer your files with zero downtime. Having technicians as talented as SiteGround’s configuring and managing your infrastructure means you can avoid day-to-day IT maintenance and spend all your time and energy on your online business. I know my new car has more features and power than I need for my daily commute, but I’m still excited to get behind the wheel. Finding the right web host for your Magento storefront should feel the same — be amazed by the performance, services, and price that allow you to create a thriving online business.